Some of the best ideas lie dormant within us—messy fragments of brilliant concepts that clank and bang around unformed in our subconscious—until we meet that person who truly gets it. She helps put words to our vision. She shapes and forms the pieces. She stokes the embers of our thoughts until they become a roaring fire. For 33-year-old fitness entrepreneur Rachel Rubin, that person was 47-year-old Tami Astorino, M.Ed., an organizational specialist who had a similar vision and had the skill set to help her execute it. The concept sounded simple enough—Rubin and Astorino wanted to create a movement in which women garnered strength and courage from each other, from nature, and from within. So often they saw women—including themselves—being flattened by the weight of societal expectations and pressures, by the be-all-things-to-all people mentality to which so many of us subscribe. They dreamed of bringing women out into nature, away from their daily routines, for a day or 2, to give them a chance to move their bodies, stand side by side with other women from diverse backgrounds, and to quiet the noise around them so they could hear the voice inside. They knew the idea had legs—Rubin herself had clawed and scratched her way through a major life change. 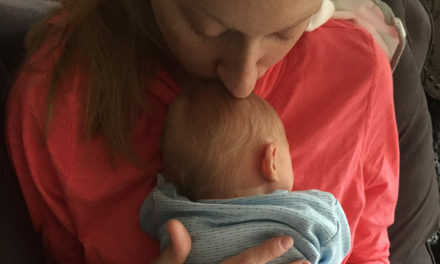 From a comfortable life as a young, married fitness instructor with an impressive following, Rubin was suddenly navigating uncertain water, raising a toddler, going through a divorce, and exploring her sexuality and attraction to women. Rubin clearly understood how often women get boxed in, stifled, and misunderstood. 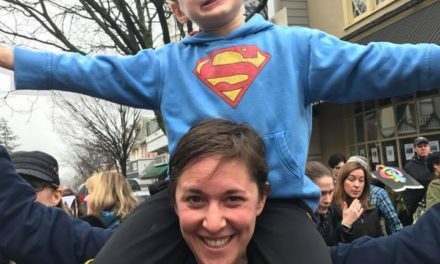 When she was introduced to Astorino in 2016 (on a you-have-to-meet-this-person blind coffee date set up by a mutual friend), they immediately connected. While they were 15 years apart in age and had plenty of other superficial differences, the two women bonded over a shared desire to empower, connect, and inspire women. Astorino found Rubin’s fire and urgency completely magnetic, and Astorino’s grounded wisdom and intentions made Rubin feel like she could turn her dreams into concrete plans. She was also looking to make a change in her own life. Rubin’s idea perfectly fit her background, first as a school counselor, then as a non-profit educator developing programs to help adolescent girls build self-confidence and leadership skills, a yoga and fitness instructor, and a mom of two, and the timing was serendipitous. It was clear that to turn their vision into a full-blown movement, they’d need both her status as a local fitness influencer with a steady following as well as Astorino’s decades of experience creating programs that unite and empower girls, adolescents, and women. With the support of Alexa Rosenthal, a then-28-year-old creative director who helped them solidify the brand, they soon gave birth to Rise Gatherings, and they began planning the first retreat weekend for the spring of 2017. Rise is about power and pleasure. It’s about how you can bring more enjoyment into your life and how you can become more empowered to pursue and embrace who you are and what you desire. Women don’t need to outshine each other. The combination of our lights is so much brighter. Express it all to each other—your excitement, your frustrations, your needs, and your boundaries. Share yourselves so you’re not hiding parts of your life. Trust your partner’s good intentions, capability, and capacity, but clarify roles and expectations. Schedule a quarterly vision session with at least a half day set aside to create or revisit your vision and plans. Discuss your dreams. Set aspirational, realistic goals. Share your desires for both the business and yourselves. Tap into other people who can provide the skills and support you need. While you may be able to figure out many areas of the business on your own, recognize when consulting with or hiring the right person is needed to fulfill a task. Also, others with similar missions will be attracted to your business and want to be involved. Welcome them with open hearts and allow them to support in other ways. While it may be more fun to attend calls or meetings together or your FOMO makes you want to schedule all the “good stuff” with your partner, determine when it’s really necessary so that over time more is accomplished. Be efficient with each of your energy so you don’t burn out! Admire and celebrate this person who gives and gifts you so much. Take steps to bring out the best in your partner. See the strengths in her and strengthen them more. Support each other’s growth. If you feel competitive, judgmental, or jealous ask yourself where that feeling is coming from, and whether it has more to do with you than her. Express your gratitude for what the other does to support and grow the business and for your partnership. 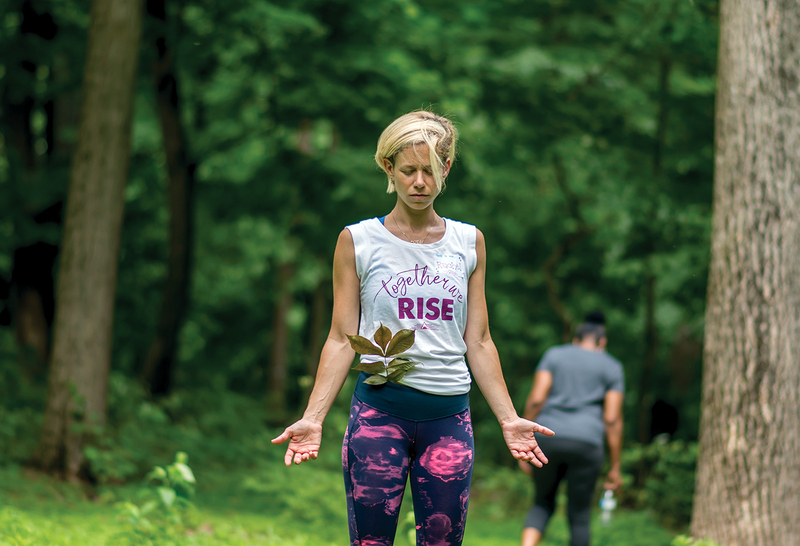 Once they brainstormed and framed out the scope and purpose behind Rise Gatherings, which included workshops for emotional and mental well being, experiences to explore womanhood, mindful movement, creative expression and self-care, Rubin and Astorino knew they wanted Rise Gatherings to take place in nature. That’s why they made their day retreats and weekend in beautiful spaces—Trail’s End Camp in the Pocono Mountains and a private estate in New Hope, Pa.
Two years in, the retreats and events continue to evolve. 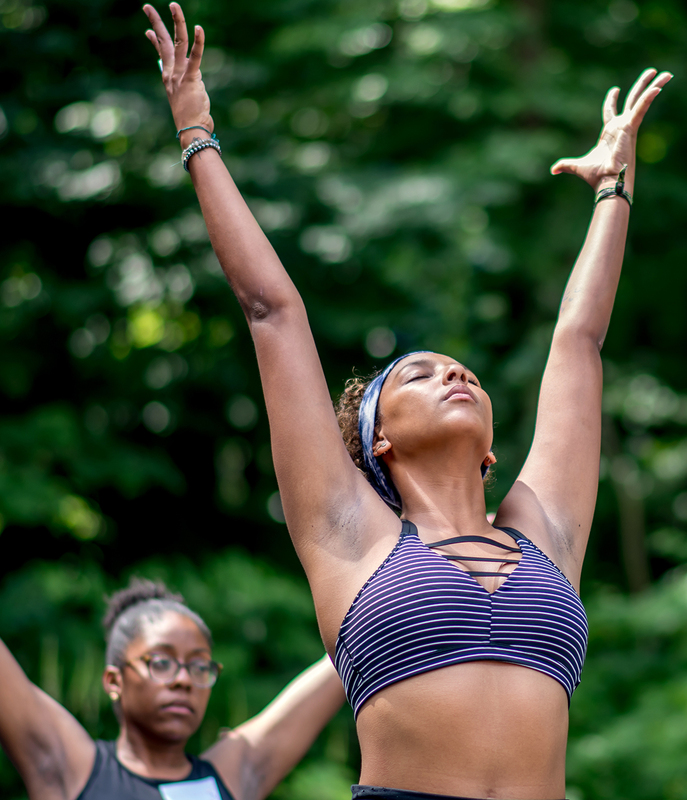 Now with their second Poconos weekend retreat in the books, Rise Gatherings offer frequent days of renewal and events themed around self-discovery and the power of community. 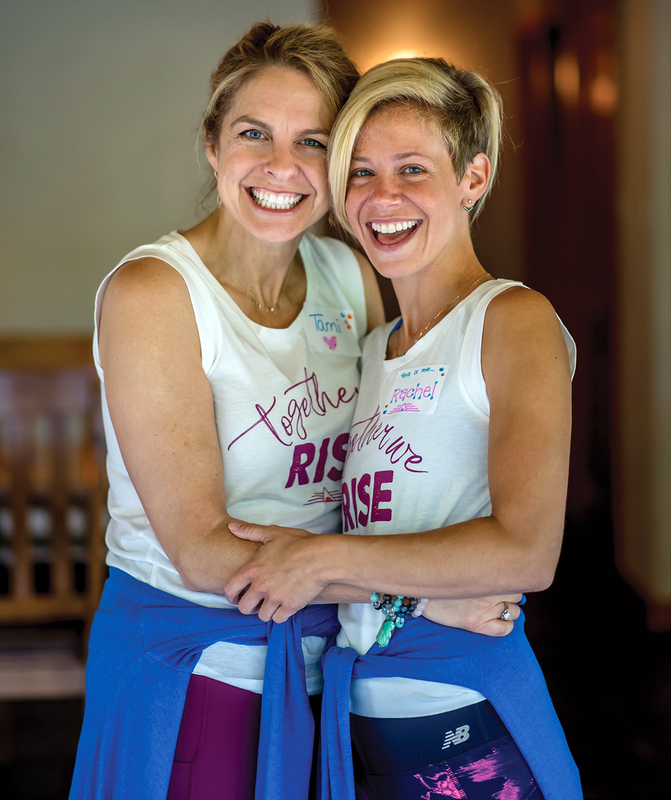 At Rise Gatherings, Rubin and Astorino use a variety of modalities—from Kettlebell Kundalini to dance—and bring in a range of speakers, experts, and practitioners to bring value to their retreats and help women down the road of self-discovery. Whether they’re encouraging women to own their desires or love their life at any age or life stage, Rubin says she most wants to impart how important it is to define yourself and drown out the voices telling you to be something else. “It took for me to cultivate this relationship within myself for me to find my way. It was through my relationship with me that I began to discover so much of what life is and so much of who I am on my own terms,” Rubin says. “It was my culture and my parents and my husband that were all trying to define me, and I was never going to be fulfilled in that way.